I really like it. Your book is a masterpiece. 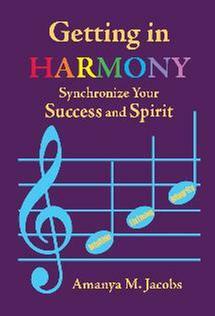 Getting in HARMONY by Amanya Jacobs is available on Amazon.com, where you'll find a convenient "Look-Inside" feature. Click here Getting in Harmony: Synchronize Your Success and Spirit with Intuition, Listening and Integrity (Volume 1) to go to Amazon.com. 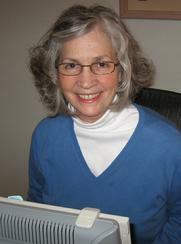 Foreword by Vega Rozenberg, P.Hom., R.S.Hom.,(NA), C.C.H., E.C.C.H. (Israel), Diploma-Homeopath, Ph.D.(Hom-spiritual); world-renowned teacher of homeopathy as a spiritual approach and master instructor of success strategies and spiritual growth. There are three Self-checks in Getting in HARMONY, designed to help you look at yourself in the areas of intuition, listening and integrity. They are quick and easy. Click here Self-checks to go to the Self-checks page. Getting in HARMONY gives you three powerful ways to increase your achievements and prosperity while at the same time drawing tranquility to yourself. In it you'll find techniques to amplify your abundance and your happiness in relationships, and to heighten the admiration of others as well as your own self-esteem. Step-by-step, it shows you how to call on your intuition, focus your listening, and fortify your integrity to attain harmony with the universe, with others and with yourself. Getting in HARMONY illuminates the profound meaning and satisfaction you derive from balancing your spiritual world with the "real world". when you're in harmony with it.